IPTSE Registration 2018 has been started from 1 June for Class 9 to 12 school students and college students. IPTSE Registrations will remain open for students until 30 September 2018. Intellectual Property Talent Search Examination (IPTSE) is scheduled to be conducted from 1 November to 15 November 2018. ASSOCHAM-ERICSSON conducts IPTSE Exam, and it is designed for both School and College Students. IPTSE Registration process for schools and college students are separate. The college students who wish to appear for IPTSE 2018 will have to sign up and fill the IPTSE Application form by providing necessary details and pay the application fees of Rs. 250. The schools will have to log in and register themselves, enter the details of their school, upload the students’ data, and generate the ids of the students. The students can access their account by providing their username and password. The applicants can seek complete information related to IPTSE Registration 2018, steps to apply, application fee and submission of the form is provided on this page. Latest Update: IPTSE Registration 2018 is open for Schools and college students. The last date to register for IPTSE Exam is until 30 September 2018. IPTSE Registration has started, and those who wish to apply for IPTSE can apply until 30 September 2018. The registration process is separate for Schools and College Students. Here are the steps for IPTSE Registration process. Step - 1: Click on the link given below. 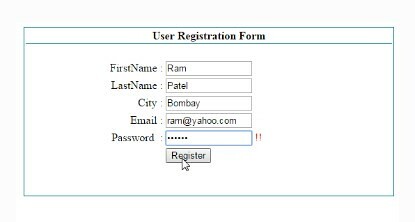 Step - 2: Choose the category for IPTSE Registration and click on "Register". Step - 4: Fill the necessary details, educational details in the IPTSE application form and submit it. Step - 5: Now, students can access the portal any time by providing user id, and password can check study content, exam details, result etc. Note: Schools can download the format of student registration provided in Excel and upload the same after filling all the required details of the students. School students can also change the password after the generation of their user id and password. The schools or the college students have to pay the IPTSE Registration fee of Rs. 250. The fee should be paid for each student. The payment can be made through online mode only during the IPTSE Registration process. After the successful registration and generating ids, all the applicants have to submit the duly filled IPTSE Application Form. After the submission of application form and fees, the candidates can log in to the portal anytime to check IPTSE related information such as exam related information, content, results, etc. All the schools and students who wish to apply for IPTSE Exam should check the IPTSE eligibility before filling the IPTSE registration form. All the Schools who provide secondary, as well as higher secondary education, are eligible to opt for IPTSE Registration 2018. All the private, public, international, and open schools which are based in India are eligible to participate for IPTSE 2018. All the schools should have the participation of a minimum of 50 students. All the schools are eligible to participate, whether they are English medium, Hindi medium, regional language medium, boy, girls, or co-ed. All the students of Class 9, 10, 11, and 10+2 are eligible to participate in IPTSE exam. Students of any stream like Science, Commerce or Arts etc. 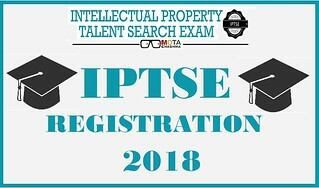 are eligible to participate in the IPTSE 2018. All the college students who have completed or pursuing their bachelor degree program in any stream like Science, Commerce, Arts, or Law etc. are eligible to participate. All the college students who are opted for the regular program or distance learning program from any university/college are eligible to participate in the IPTSE 2018. For any queries related to IPTSE Registration 2018, you can write to us in the comments section below.